We’re big fans of the Wagner family. Not only are they the minds (and hands) behind Caymus, one of our favorite California Cabernets, they also expanded their portfolio to include other varieties, and like Caymus, they do these wines oh so well. We’re featuring a couple of them today because they really two ideal holiday wines: Conundrum white and Belle Glos Meiomi Pinot Noir. Conundrum, called as such because you never know what the exact blend of grapes is in this wine, is a customer favorite. It is full of ripe fruit flavors, a creamy texture and lingering finish. It’s a wine that can last through the dinner, especially pairing with anything that has a touch of spice. It is a delicious all-night party sipper for any holiday fete and an all-around palate-pleaser. The Meiomi (pronounced mey-OH-me) hails from the coastal vineyards of California, the perfect climate for growing a cool-climate variety like Pinot Noir. Delicious red fruits and sweet spice make this a rich yet not-too-heavy wine perfect for holiday parties and dinners. It’s terribly food friendly, but also has all those characteristics that make it a superbly delightful wine sipping on its own. At such a great price point, it could be your go-to dinner party red. So stock up on these two to pull out for holiday dinners, hostess gifts or just sipping by the fire. It’s been 7 years since we watched Miles and Jack take that life-altering road trip through Santa Barbara wine country, but the enthusiasm for Pinot Noir remains strong. People are still seeking great Pinot, and even better, great, affordable Pinot. And it can be had! We are enjoying more and more deals in the wine world, including great Pinot Noir. Of course, this speech could also be taken to describe some people and relationships, which is why it is so moving. So take time to enjoy and savor the next glass of Pinot Noir you enjoy – it is a delicate grape, and one that deserves attention. Cheers! Our wine alert today is the Cristom 2008 Mt. Jefferson Cuvee Pinot Noir from the Willamette Valley of Oregon. 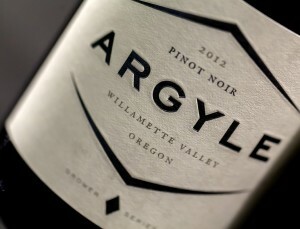 If you haven’t heard, the 2008 vintage in Oregon for Pinot Noir is, as the New York Times stated, superb. As is this wine! You can read more about the wine and winery on our website, or watch our tasting video below. 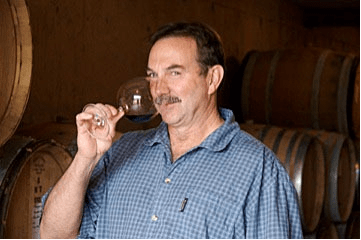 And as a special treat, here are a few questions we were able to ask the very talented Cristom winemaker, Steve Doerner. Q: Before coming to Cristom, you worked in California wine country. What are some of the main differences you see in winemaking in Oregon vs. California? A: Well, it’s been almost 20 years since I’ve been in California so I’m not sure I’m even qualified to answer this question any longer – a lot has changed in both places in both vineyards and wineries. But if I had to answer in a general way I would say that because of a higher degree of vintage variation in Oregon the winemaking has to be a bit more adaptive. For example, adding acid verses chaptalizing are at opposite sides of a spectrum. You hope you don’t have to do either but in some vintages we do one or the other, where as in California not only is chaptalizing illegal but it would rarely be necessary if it were not. Q: What do you find most challenging about working with Pinot Noir? A: Pinot Noir is very transparent – it reflects what is done to it in both the vineyard and the winery more than most varieties. Because of this it doesn’t hide any errors made as well as some varieties can. I try to mitigate this by doing as little as possible in the winery so that what the wine is reflecting is coming mostly from the vineyard and the particular season in which it was grown. In that sense I don’t find it as challenging as it’s reputation. We just try to grow and obtain the best grapes possible and then get out of the way. Q: What did you think about the 2008 vintage of Pinot Noir in Oregon? A: It was a great vintage but enough has already been said about it that I think I can defer to others – it really doesn’t need any more hype. Q: Can you describe the essence of Oregon Pinot Noir in one or two sentences? 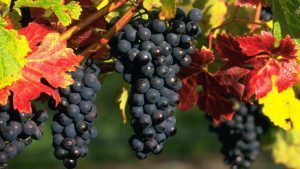 A: In general Oregon Pinot Noir seems to have a great balance between fresh fruit, lively acidity and a touch of earthy complexity.